If you are reading this as a motorbiker, you will realise that I was knocked off my bike and needed legal help. I had been hit by a young, novice driver turning straight across my path. The collision happened in town so thankfully it was at reasonably low speed. I still suffered a broken fibula and soft tissue damage to my knees and back, resulting in considerable time in a wheelchair, rehabilitation and time off work, not forgetting to mention that my S1000R Sport was a write-off and ALL of my kit had to be cut off. 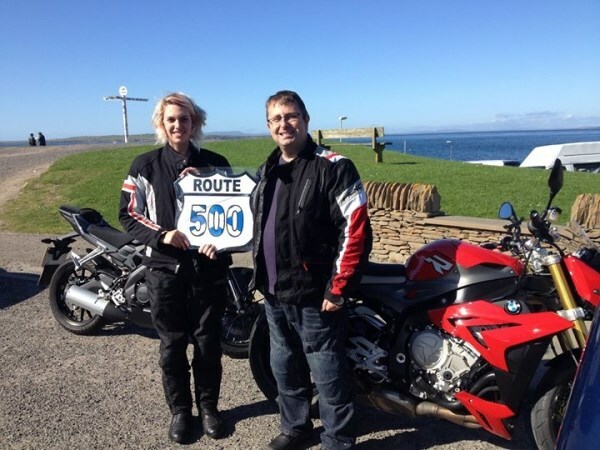 Motorcycle Law Scotland was recommended to me by a friend at Moray Coast Motorcycle Club so I decided to contact Brenda Mitchell rather than using my Insurers’ recommendation and I'm so glad I did. As you may be aware, solicitors can be quite intimidating with all the legal speak, so I was pleasantly surprised when Brenda came to see me personally (on a weekend I may add) and was able to explain to me that she was a biker herself and totally understood, both physically and mentally, what I was going through. She was confident that she could get me a fair settlement so that I would not be left out-of-pocket from the incident. She explained everything clearly; what I should expect to happen, a prospective timescale for each step of the legal process and the information I needed to retain for the case. The whole meeting was relaxed and put my mind at relative ease. Throughout the process, Brenda and the team at MLS, were happy to communicate and answer any questions that arose. They dealt with any issues as swiftly and decisively as possible and were able to alleviate any worries that I may have had at the time. Thanks to Brenda and her teams' efforts, I was able to get hydrotherapy on top of the treatment provided by the NHS. This helped me to get back to work in reasonable time. I was compensated for my loss of earnings and monies that had to be spent on hiring a wheelchair, other medical aids and home care; oh, and I also have brand new kit so that I can enjoy my new S1000XR! I can't thank Brenda and all at MLS enough. They all made a huge difference to me and my wife at a horrible time.